James L. Adams is professor emeritus at Stanford University, where he has chaired several programs, taught courses on design and creativity, and participated in many executive programs. Trained as an engineer and artist, he has conducted corporate workshops around the world. He lives on the Stanford campus. This is one of those books you'll want to read once a year. It provides practical steps for expanding your mind, teaches you to think about thinking, and helps you identify "conceptual blocks". These blocks are limiting your ideas and keeping you from reaching higher levels of creativity. 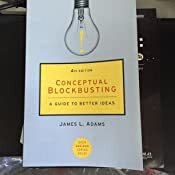 The subject of the book seems a bit elementary based on the title - "Conceptual Blockbusting", but there is a lot to be learned. Don't assume it is just another book about problem solving. my familiar (and limiting) thinking patterns. The ideas in this book are very closely related to mindfulness, but with an emphasis toward problem solving and creativity. Adams teaches us to think about thinking in the same way that a golfer would think about his golf form. There are certainly better forms of thinking that can be identified and practiced. In fact, Adams argues that it is similar to a muscle that can be exercised and strengthened. and judging rather than generating new ideas. They also include cultural and environmental blocks like taboos, traditions and changes, and non-supportive environments. A lot of these blocks may seem intuitive, but it's important to remember them and identify them in our thinking patterns. I wish this book was a little better organized and had a summary at the end. It would be nice to go back and review the conceptual blocks. Also, the pictures and diagrams were fun and interesting, but seemed mostly random. Overall, I highly recommend reading this book to expose the mental blocks which are holding back your ideas. You'll have a surge of new ideas after reading it and you'll start looking at your problems in new and useful ways. Excellent book. 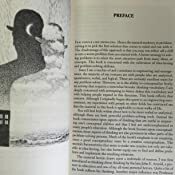 Jim Adams had just written his first edition, when I took (and TAed) his problem solving course at Stanford about 38 years ago. Many years later, I am doing some adjunct teaching in entrepreneurship. 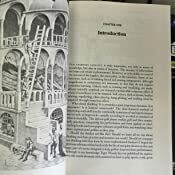 I am now using the 4th edition (he is working on a 5th) for a new class I am writing on creativity and entrepreneurship. This edition has all the insight from the first--but updated to keep it fresh. This book has been useful to me for over 20 years in how to set about solving problems in design, engineering, creation, and interpersonal differences. I've used its principles in marketing, videography, graphic design, copywriting, leatherworking, landscaping, team building, and many other activities. It's helped me look past my biases and preconceptions, yet still trust my gut. Finally, it even makes a point most people overlook: what appears to be a problem may not actually be one (saving lots of time and possible discord). I lost my copy years ago and just ordered a new one last week. I want to show it to my boss. This book is great for a lot of different industries. I am in the software industry. 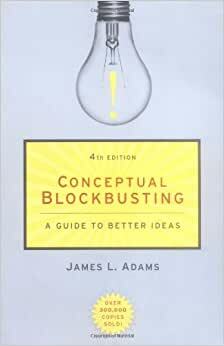 James Adams has some great ideas on creating great ideas. This is a book that makes the phrase "think outside of the box" make sense and puts some content to the cliche. This book is a very good book for inventors or anyone in the creative frame of mind. We all have some values we hold and it is the ability to re-evaluate these values to create that breaks us out of our molds. In other words, our perspective on the world can actually inhibit or assist us with creativity. Mr. Adams helps to put these values in a container to assess what is helpful and which are not. I keep a copy of this book for occasional reference. The book is really great. I got it for a design trip that I was taking to Boston and it was a perfect plane ride. The book gives you activities to do along the way which is perfect if you sometimes start falling asleep while you are reading a book. I highly recommend the book as a creative professional.